Are you tired of your skin never doing what you want it to do? Have you tried every product without the desired results? Skincare is an art form, and requires a lot of trial and error. Skin experts and dermatologists know the best ways to care for your skin, no matter what your skin type. Here are some tips to help you take care of your skin the right way. All the products in the world will not do any good if you are using ones that do not work well with your skin type. Most brands are made for most skin types, although there are products that are more suited for skins that are more oily, or dry and flaky. 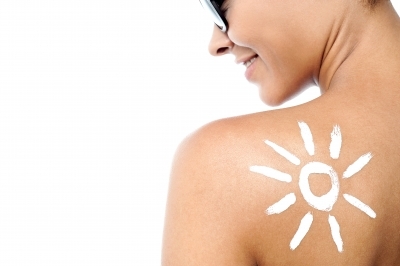 Being sun safe is one the best ways to protect and take care of your skin, says the experts at the Cosmos Clinic. Use plenty of sunblock; find a moisturiser with sunblock built in so that it doesn’t feel too heavy during the day. Whenever you’re outside try to stick to shady areas and do not stand in direct sunlight for too long. If you know that you’ll be in the sun for long periods of time, wear protective clothing and reapply sunblock for optimal results. The sun can have damaging effects on your skin that might not show up right away, but can have dramatic effects in the long term. Smoking causes skin to shrink and become prone to wrinkles. Smoking limits the supply of blood and oxygen to the veins in your skin, and therefore your skin looks weathered and older. It damages the collagen in your skin and stops your skin from retaining elasticity. Be careful with your skin. Treat it delicately and the results will come. Taking a shower, or bath for too long, or having the water too hot can have adverse effects on your skin. Take care when using soaps that strip your skin of its natural oils and leave it feeling too dry. After stepping out of the shower, pat your skin dry. The blotting effect will keep much of the moisture still in your skin. Also, take care when shaving to lather well and shave with a clean, sharp razor. Too much stress can culminate in your skin. Uncontrolled stress can make your skin breakout and inflame. Managing your life balance can help you to keep your stress levels in check. Make sure to get plenty of rest to keep your skin looking fresh and rejuvenated. A healthy diet can help you to feel balanced and stress free. A diet rich in proteins, produce, and whole grains can help to create younger looking skin. Skin care is extremely important. What you do, or don’t do can have effects on your skin health in the future. Create a skincare plan and make it a habit. Find out what works for you and stick to it. Click here for more tips. You've given some great tips. I do all the things you've suggested but still dry skin persists. Every month or so, my skin flakes so much that when brushed, it forms a pile big enough to sweep away. I guess it's just my type so I lavish plenty of oil, emollient and creams on the affected areas. Good advice. I'm pretty lucky with my skin but could still do with taking a bit more care, especially as I get older! Great tips and advice. I have not taken the best care of my skin but have been fortunate that I don't look my age (yet). I don't take that for granted though and am starting to use serums and moisturisers. Really good tips there. I wish i had followed them sooner and started looking after my skin in my 20s rather than 30s! Some good ones, very big on this subject. I do try to follow these rules, but it's not always that easy. But you've reminded me: must hurry up and finish at the computer, so I can have a nice early night! Some great advice here. I do need to have a skin analysis done. Great tips. Wish I'd been more careful of my skin when I was younger! My skin is in a terrible state right now. No idea why, I haven't changed anything. I have acne rosacea and it is particularly bad right now. I don't wear a lot of make up because I rarely have time but if I could find something that would calm my skin and a light make up to cover it, I'd be such a happy girl! I don't really take much notice of my skin if I'm honest. I'll probably wish I had done when I'm 80! These are good tips , my skin is so dry I need to do something about it now winter is approaching. I really need to take better care of my skin, winter plays havoc with it so I need to find a rick moisturiser to help.